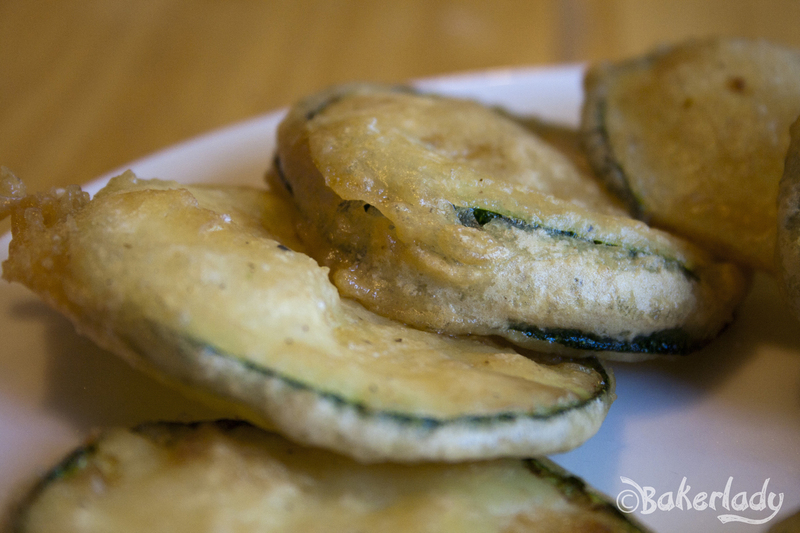 This is a super simple, very adaptable recipe to batter veggies for frying. 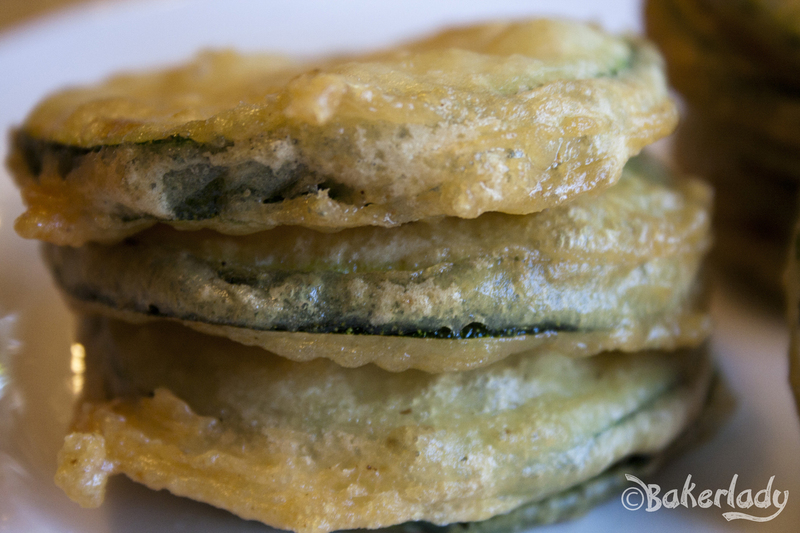 I used zucchini, but it would work with just about anything you want to dip in a light batter and fry to airy crisp perfection. I ate these babies with (gasp!) no dipping sauce. The batter wrapper was perfect for me. They’d be great with some ranch though. This is the best batter I’ve ever used for frying up some deliciousness. The cornstarch makes it absolutely light as air. In medium mixing bowl mix all the above until smooth. 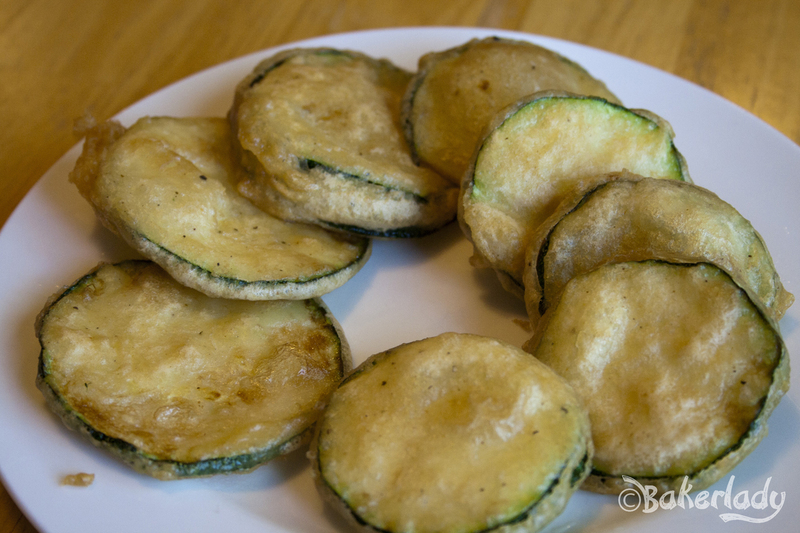 Dip sliced zucchini in batter and fry in 1/3 inch hot oil till golden brown. My mother has been making this cake as long as I can remember. 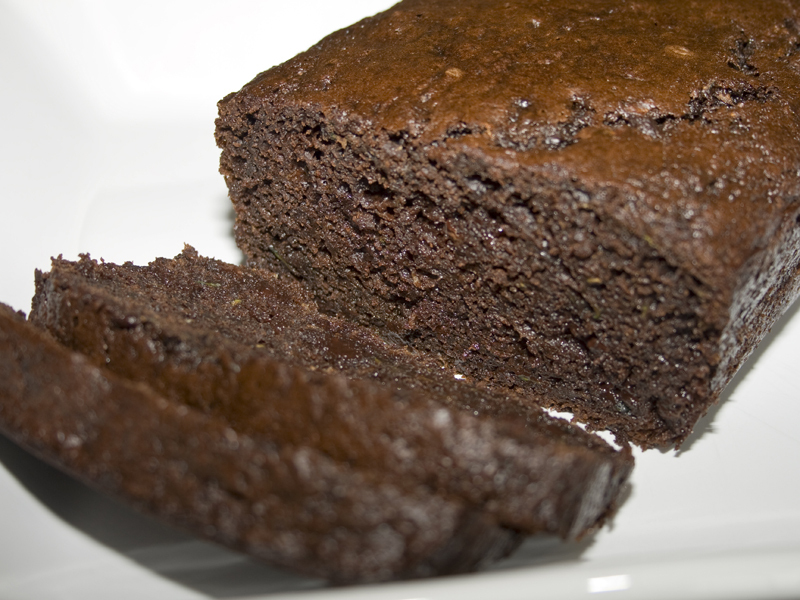 As a child, the thought of a vegetable baked into a cake was just supremely odd. 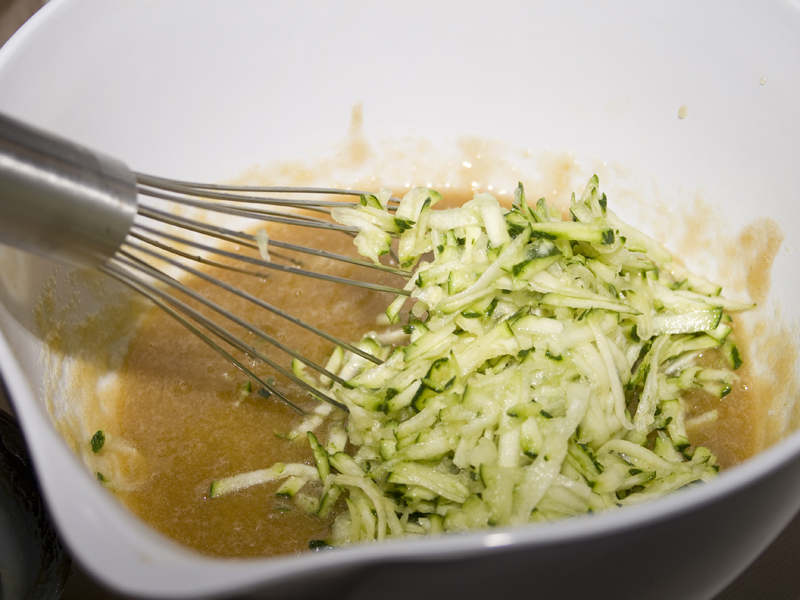 Now I know that little flecks of zucchini melt into the chocolate batter making the texture and richness just perfect. It’s zucchini season! Many of you, with greener thumbs than I, are reaping bountiful harvests of beautiful green squash. I’m so jealous! I kill just about every plant I touch, so a garden of homegrown deliciousness has never worked out for me. Also, it seems like a lot of work. Kudos to you vegetable garden type folks! Baked goods involving zucchini are considered a vegetable in my book. I’ve been exercising like a crazy person lately and watching my calories, so more vegetables is exactly what I need. 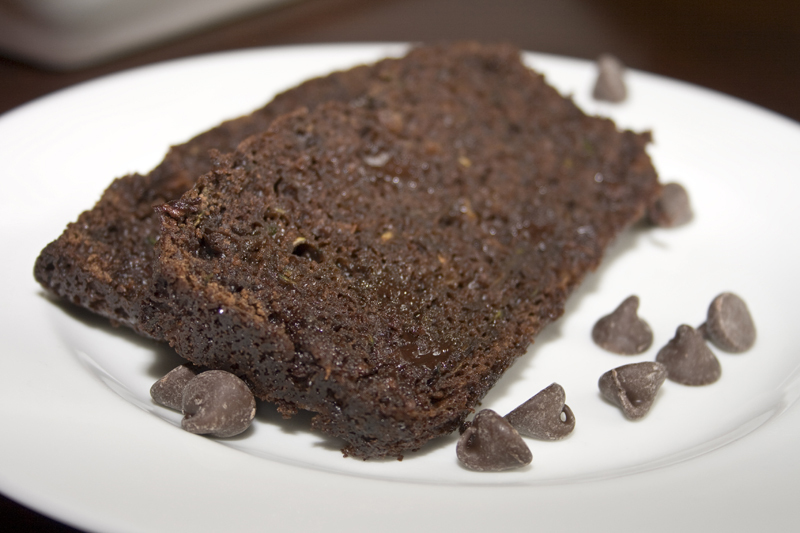 This amazingly moist absolutely decadent tasting chocolate bread fit the bill perfectly. I don’t feel too badly about it since it’s reasonably low-calorie and very low-fat. Unless I eat the whole loaf. Hmmmm. Not gonna lie. That might happen. 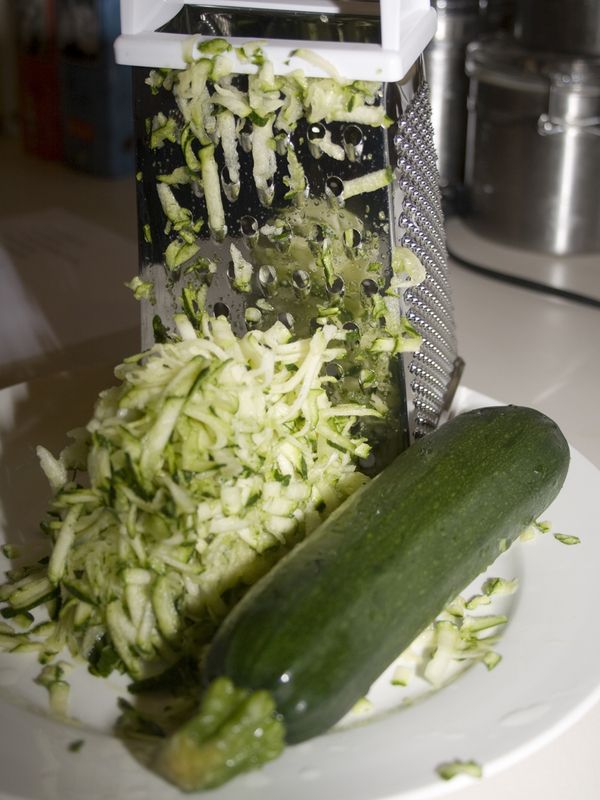 Start by shredding some zucchini. You’ll need about one medium-sized courgette (yes, I just used the fancy-pants term). Mix up some sugars and applesauce. You can use oil if you’d like, but I was going the uber healthy route with this. Then, stir in some eggs and zucchini. Some dry ingredients get stirred in. 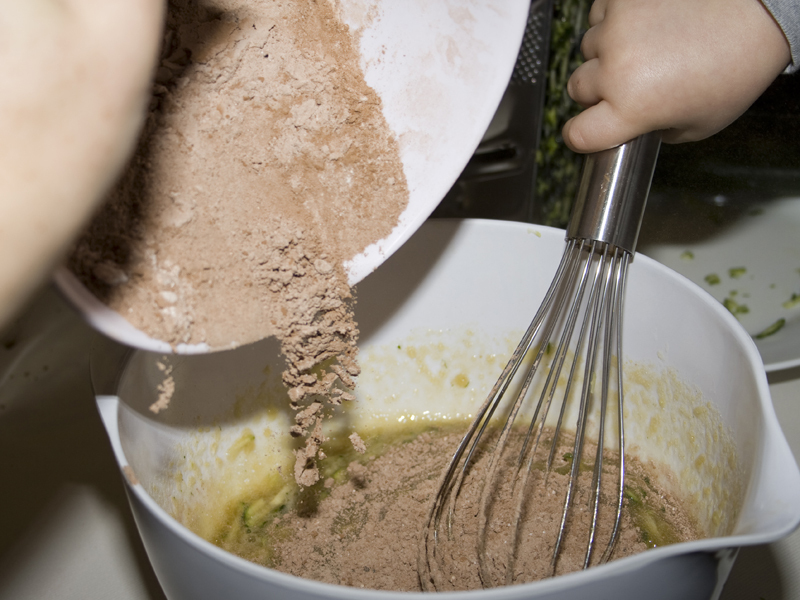 Those little hands belong to my son, who loves helping me bake. I don’t want any of you to think I have freakishly t.i.n.y. mitts. Then the final touch to this yummy bread. Chocolate chips. Ok, so it just ceased to be a bread and became a cake. I know. Rich chocolate. And I’ve convinced myself it is actually a vegetable. Yes. I am in heaven. Please don’t wake me from this dream. You will be too. 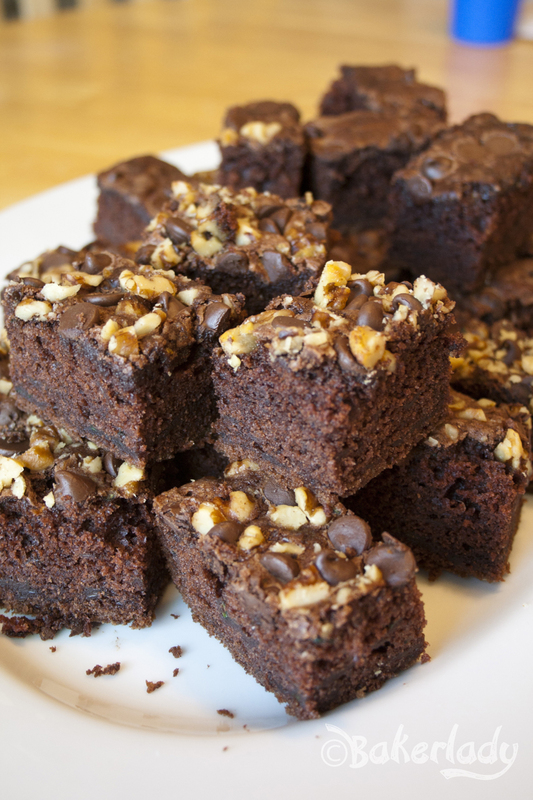 There are little pockets of melty chocolate chips in every bite and the bread is all gorgeous and moist. Enjoy! In a large bowl, combine your applesauce, sugars and vanilla. Mix in your eggs and shredded zucchini. In a separate bowl, sift together your flour, cocoa, salt, cinnamon, baking soda and baking powder. Slowly add this dry mixture into your wet mixture. Stir until combined. 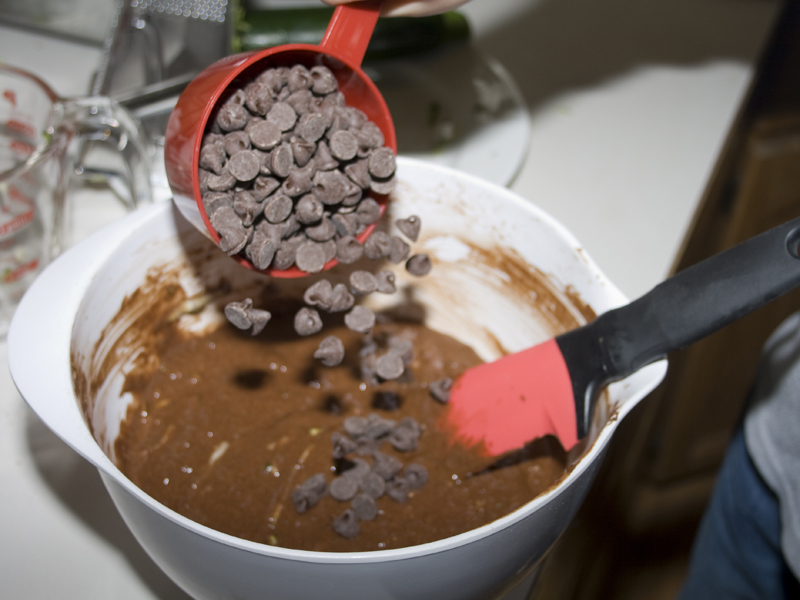 Mix in your chocolate chips. Scrape your batter into a greased 9x5x3 loaf pan (I always do a little parchment paper action on the bottom too), and bake at 350 degrees for 60-70 minutes, or until a toothpick inserted comes out with a few crumbs clinging to it. Stay with me. I know the title of this recipe sounds a little odd. But I promise, these are delicious. 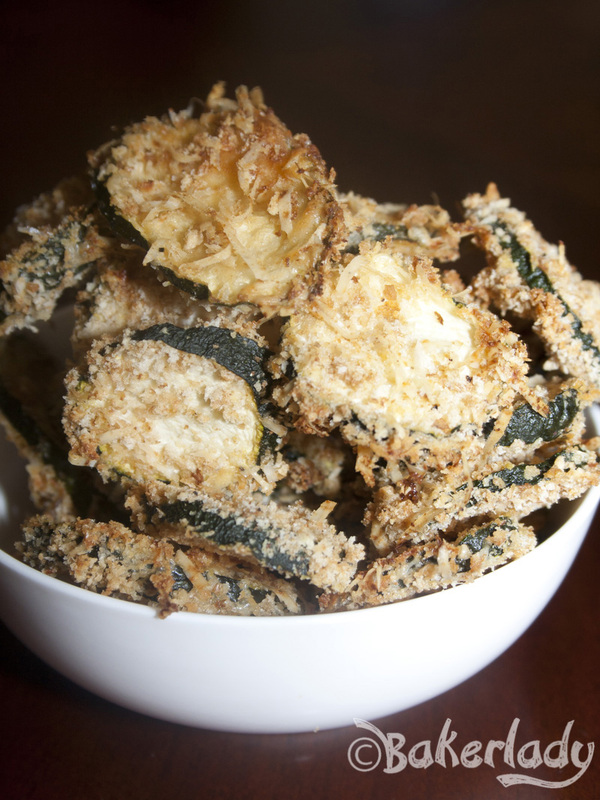 Sort of like a deep-fried zucchini meets a pepperoni pizza. In one delicious mouthful. Not much goes better with a lazy Sunday watching football than pizza. Unfortunately, I’ve already way surpassed my quota for slices eaten this season. So, I set out to make myself something to munch that would be hearty and filling with the flavors of pizza and none of the guilt. 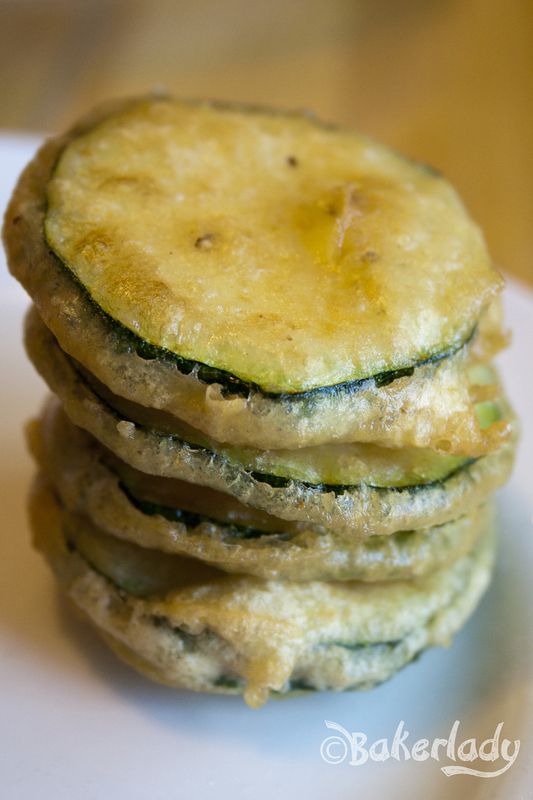 Zucchini pizzas were born. These little babies are delicious and a mostly healthy alternative to cheese drenched bread on game day. For over a week I’ve been craving chocolate and zucchini. Yes together. No kidding. It’s good. Really! I mentioned my mom’s chocolate chip zucchini cake in a post just before Easter and I’ve had a hankerin’ for it ever since. Today I realized that I had a lone leftover zucchini hanging in my crisper drawer just begging to be used. Alas, when I checked the chocolate cake recipe I realized I would need 2 zucchinis to make it. Sad day. I could have popped out to the store to fix my dire need for more of the green courgette (go ahead…click on it…it means zucchini I promise) – but I wasn’t in the mood to make a special trip. 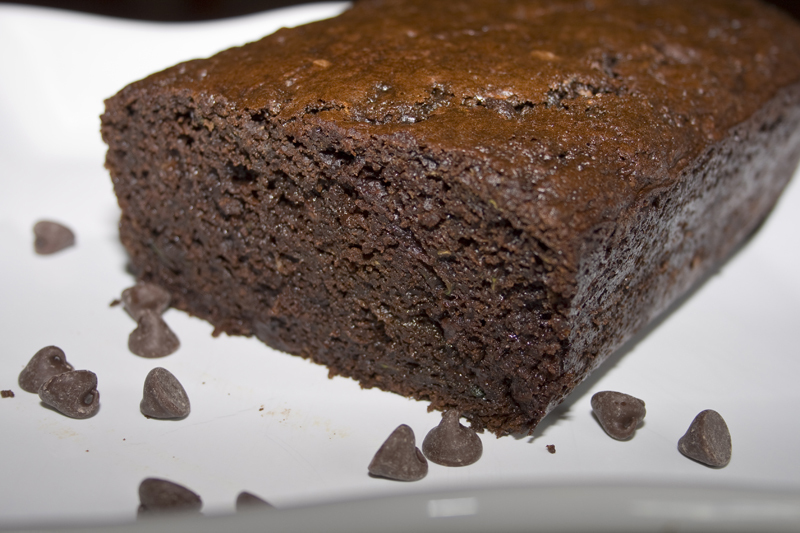 Instead, I looked for recipes that would utilize my measly 1 zucchini and still give me my chocolate fix as well. Bingo! Chocolate chip cookies with zucchini in them. I know how amazingly moist cakes and breads are when zucchini is added to the mix and I couldn’t wait to imbibe that same quality into a classic cookie.